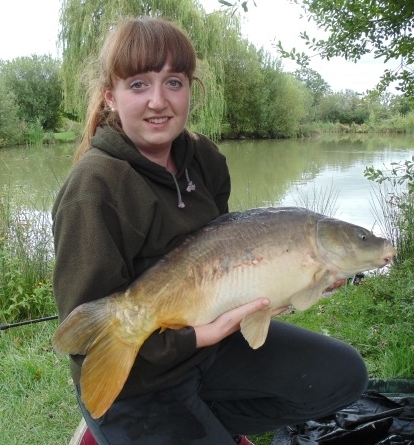 Come and Experience Fishing in the Garden of England. With anglers having differing requirements we are now taking 2019 Bookings for Fishing only and Accommodation with discounted Fishing. A warm welcome awaits you at Manor Fisheries which provides both comfortable accommodation and outstanding coarse fishing (Carp to 30 lbs+, Catfish to 50 lbs+ plus Tench and Bream to 8 lbs+) in three very well stocked lakes that are over 25 years in age and are "Never knowingly over crowded"; all this in an idyllic setting in the Weald of Kent. Keep up-to-date via the latest News Letter. The lakes are beautifully landscaped and well thought out, incorporating bays, controlled weed beds, rushes and islands. With only a few days to go before we open for the 2019 Season, now is the time to apply for your 2019 Manor Fisheries Membership. This can be done online at https://www.manor-fisheries.co.uk/night-fishing/ noting those booked into an Apartment automatically become Members for the duration of their visit. Duncan Charman, the highly respected angler and Journalist; highlighted Manor Fisheries in Angler’s Mail dated 27th February 2018, as a UK Holiday Venue which has "high-quality accommodation for families and for serious anglers who want to target very big fish and get away from their busy lifestyle for few days". We were also selected by Anglers Mail dated 18 & 25 December 2018 a South East Where to Fish Venue of the Year and in 2016 a "Best Day Fishery Venue". 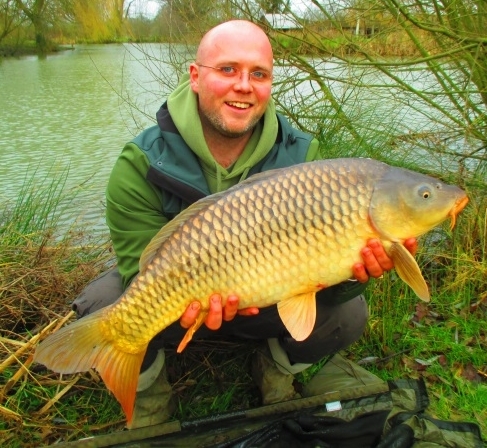 The Mixed Lake 3 (1.6 acres) is limited to 20 anglers and holds a significant number of smaller Carp (4 to 12 lbs+) plus some excellent Tench and Bream (both to over 8lbs+), Roach, Rudd, Crucians and really good Perch. This is an ideal water for smaller Matches and for the angler who wants day fishing in pleasant surroundings without the pressure of trying to catch specimen fish. Facilities include uncrowded, attractive and safe surroundings, hard standing car park (suitable only for cars and small vans), flush toilet plus hot and cold running water. There are two superb easy access specimen lakes. Lake 1 Carp (1.1 acres) contains many large specimen Carp (Commons and Mirrors) while Lake 2 Carp/Catfish (1.2 acres) contains many specimen Wels Catfish and large Common and Mirror Carp. Both lakes have 8 to 9 swims (including doubles) and each is limited to four anglers ensuring neither lake is ever over crowded. Keep up-to-date via the latest monthly News Letter and review those published over the past 100+ months. Night Fishing is also available but only to those with Apartment bookings or to anglers who are current Members. See the FISHING tab for Membership details. Learn More About our Lakes and Fishing Options. More than just the lakes. A peaceful holiday. 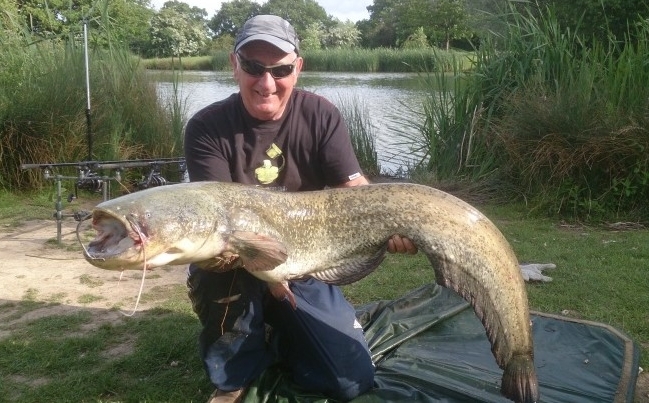 Holiday accommodation at Manor Fisheries offers excellent fishing and is a small friendly concern where care and consideration is taken to ensure all guests have a comfortable and relaxing stay. The three lakes are approximately 150 yards from the Apartments and a Cabin/Toilet is located adjacent to the lakes for the exclusive use of visitors. There is also a car park adjacent to the lakes. There are three en-suite Apartments all to a very high standard offering excellent facilities and comfort. The Apartments are individually designed and are superbly equipped with television plus Freeview and DVD player, free WiFi, reclining chairs, cooker, refrigerator, microwave oven, etc. and a pleasure to relax in after a good day's fishing guaranteeing a good night's sleep. Full bed linen and towels are also provided for each guest. Discounted fishing rates apply only to the day or days you wish to fish. The apartment includes a fully equipped kitchen with electric cooker, ceramic hob, microwave oven, toaster, refrigerator, freezer, washing machine. The dining area/lounge area includes a dining table and chairs, a 3-seater bed settee (easily converts to a double bed), a 4-drawer chest and leather bucket chair plus a LCD television (including Freeview) with DVD player and free WiFi and hair dryer. The double bedroom has a King-size bed that can be separated to make two singles plus a wardrobe and chest of drawers. There is also an on-suite shower room with WC and wash basin. The apartment is a compact "Studio" fitted to a high standard with a Kitchen including electric cooker with ceramic hob, microwave, toaster and integral refrigerator. The dining area also has two leather reclining chairs in the sitting area, LCD television (including Freeview) with DVD player and free WiFi. ‘Pull-down’ Twin beds are specially fitted into the wardrobe to provide ample living space. Beds can be stowed away ready-made. A separate shower room, WC and wash basin is included. This 1st floor apartment is reached via 13 steps and includes a well fitted and equipped kitchen area, electric cooker, refrigerator, microwave oven, toaster and dining area. The sitting area is equipped with two leather reclining chairs, leather bucket chair, LCD television (including Freeview) and DVD player and free WiFi. The two bedrooms are one with twin single beds and the second bedroom with a single bed. A separate WC with washbasin plus a separate shower room is also provided. The purpose built Anglers Cabin is conveniently situated between Lake 3 (Mixed) and Lake 1(Carp) for use by all visiting anglers and their guests. It is equipped with a modern flush toilet, hot and cold water (suitable for drinking) plus tables and chairs for eating both inside or outside on the covered porch. This location makes a good meeting point for anglers to share their catch information or have a hot drink/meal using the kettle and microwave provided. 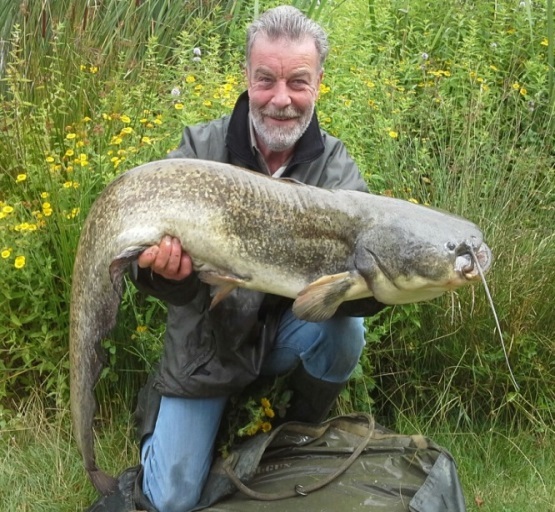 Anglers can also record their catch in the Log Book provided noting this information forms the basis of our Monthly News Reports - see the ABOUT tab for the past 8-years Monthly News Reports. 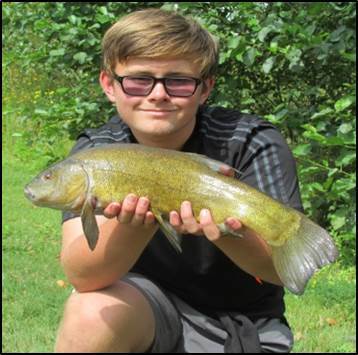 Manor Fisheries is located in a small country lane approximately half a mile from the village of Headcorn in the centre of Kent as is ideally located for both sport and site seeing; with fishing, golf, Leeds Castle, the coast and Canterbury all within easy access. Headcorn has a good selection of shops as well as a traditional tea shop and a popular pub plus a station with trains to London, while nearby Biddenden boasts a Michelin starred restaurant. Traveling on the A274 through Headcorn in the direction of Tenterden, there is a turning on the left as you leave the village, signposted Smarden (and before going over the railway bridge). Follow the Smarden road for a quarter of a mile where there is a sign to Manor Fisheries indicating to turn left into Love Lane. Manor Fisheries is the second farm on the left noting there is a large barn at the double gate entrance.